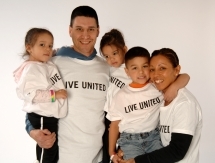 The United Way of Elgin envisions a community where we work together so that all individuals and families achieve a better quality of life through education, financial stability, and good health. Would you like to lend a hand? 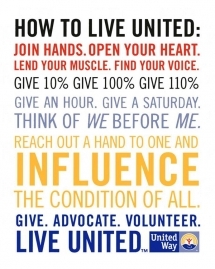 Giving to United Way is still the easiest way to touch the greatest number of lives. Pledge in your workplace or give today. Use your voice. Write a letter to the editor. Follow the issues. Email your elected officials. Join our eList for the latest news and action alerts. Give an hour. Give a Saturday. Do something you?re passionate about. 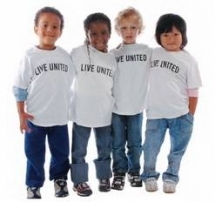 Find your opportunity to volunteer today.